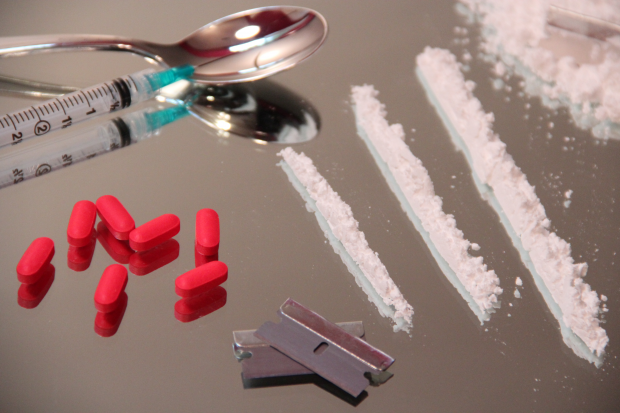 Deaths caused by drug misuse are rising. In order to help us take effective action we need to better understand the multiple and complex causes behind this disturbing trend. Last year, Public Health England and the Local Government Association convened a national inquiry in response to official statistics that revealed a 17% increase in reported drug misuse deaths in England in 2014. This followed a 21% increase in 2013. The inquiry resulted in an independent expert group report on what needs to be done to better understand the causes of these rising deaths and reduce them in future years. Data for 2015, published on the same day as the report, showed an 8.5% increase in drug misuse deaths and reinforced the need to urgently take forward the expert group’s recommendations. We know that these deaths occur across different age groups, and from different types of drug. There is also considerable regional variation. While overall drug use continues to decline, it is still the fourth highest risk factor for death for those aged 15 to 49 in England. We must enhance efforts to ensure that the most vulnerable people can access drug treatment, and PHE continues to support local authorities in delivering effective services to reduce harm and promote recovery. This blog will look at what local areas can do to take action and the growing support available to them. What is causing the rise in drug misuse deaths? The sudden increase in drug misuse deaths over the past three years is likely due – at least in part – to an increase in the availability and purity of heroin following a period where heroin purity was unusually low. Heroin-related deaths have doubled since 2012 in England and Wales to the highest since records began 20 years ago. An ageing group of people who started using heroin in the 1980s and 1990s are now experiencing cumulative physical and mental health conditions that make them more susceptible to overdose. And many of these long-term users are not engaging in drug treatment where they could be protected. Until we are better able to both meet the needs of older heroin users and address the factors that lead to increased numbers of deaths in emerging risk groups, all the evidence suggests that drug misuse deaths will continue to rise. What should be done to bring rates down? We can assume that drug misuse death rates would be even higher were it not for the implementation of evidence-based interventions already in place. But there is still much to do to maintain and escalate these efforts to reduce these deaths and mitigate future rises. Based on the evidence, the expert group has recommended a number of actions for local commissioners and providers, as well as other services across social care, housing and criminal justice. The group also highlighted the need for continued research and investigation to better understand drug-related deaths and their prevention. This should include providing additional data to local authorities and sharing lessons between local areas. Activity in this area is already underway, within PHE and local areas. At PHE, we have supported the implementation of a new Public Health Outcomes Framework indicator (2.15iv) measuring drug-related deaths in local areas to benchmark performance and encourage improvement. We are also providing commissioners with further advice on provision of naloxone, which has been demonstrated to decrease overdose-related mortality, and will be supporting the 2016 update to clinical guidelines for drug misuse and drug dependence, due to be published later this year. This report from the national expert working group provides practical messages for key decision makers and local services who can help prevent future drug-related deaths. To bring these rates down we must escalate efforts to effectively treat drug misuse, as well as galvanising action beyond treatment services to support vulnerable and at risk people. PHE will work both locally and nationally to support this effort.